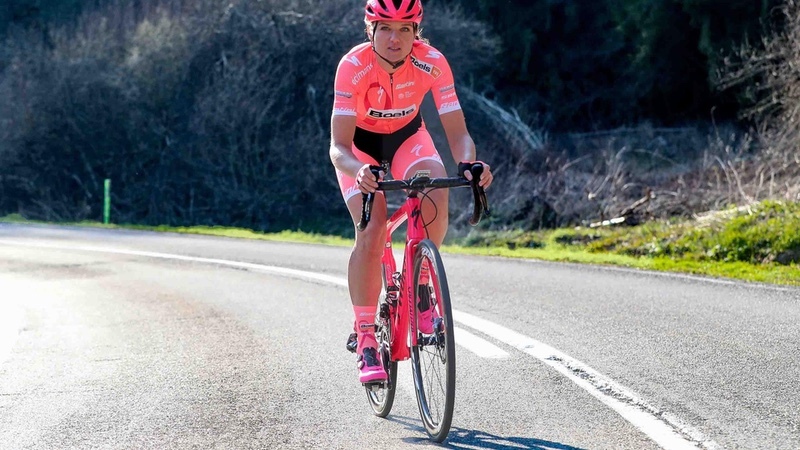 Proceeds from the auction, which will be online at www.boelsdolmansforpinkribbon.com – alongside any money prizes won by the athletes during the Dutch race – will be donated to Pink Ribbon. The international organisation funds scientific research and projects focused on treatment, post-operative assistance and the long-term effects of cancer. “Of course we will do this! This was our first reaction when team manager Erwin Janssen explained to us the idea of this special Pink Ribbon campaign,” said reigning Dutch and former world champion Chantal Blaak. All of the kit and gear provided to the riders for the Amstel Gold Race will be sure to stand out. Everything will be pink in honour of Pink Ribbon and breast cancer research: the bikes, the helmets, the shoes, the support cars and the kit. The latter is being made especially for the occasion by Santini, official technical partner to the Boels-Dolmans team. Six special jerseys worn by the Boels-Dolmans women during the Dutch event will go under the hammer at the end of the race and the proceeds will then be donated to Pink Ribbon.